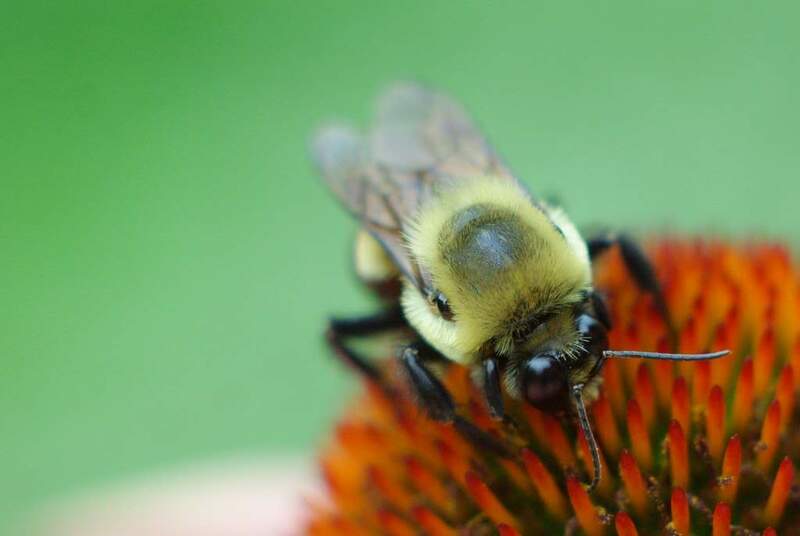 The only bees I could find active at this time of day were the bumbles, and they were really moving! Frantically flitting from flower to flower. They were never resting, and I was lucky to get these few images. I love their fuzziness, and their huge eyes. 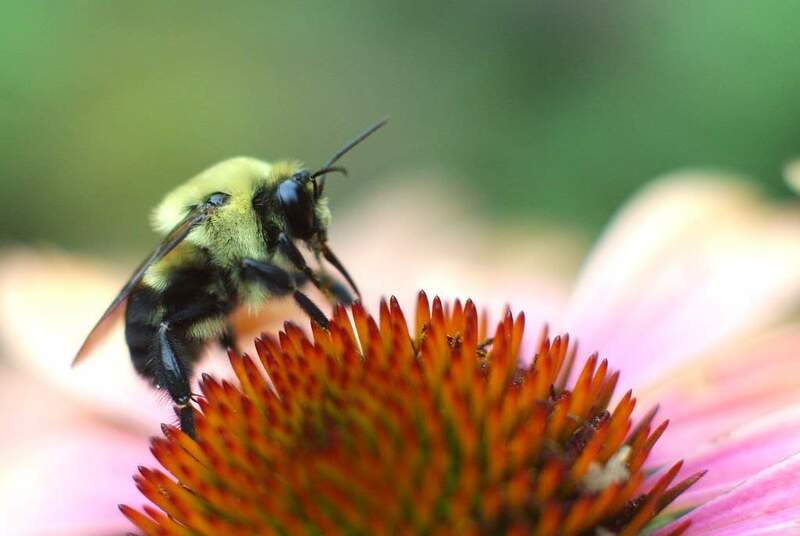 I also love the flowers they were interested in today: the coneflowers. I talked about these the other day, but it's worth taking another look I think. That's the beautiful 'Big Sky Twilight', showing more of the dusky colors that give this cultivar its name. The mystery plant that self-seeded? I wasn't sure if it was going to be white, purple or some shade in between. Well, it appears to be a shade of pink, although the colors seem to be getting darker as the bloom ages. That's a change, as the flowers typically fade over time, getting more pale as the days pass. 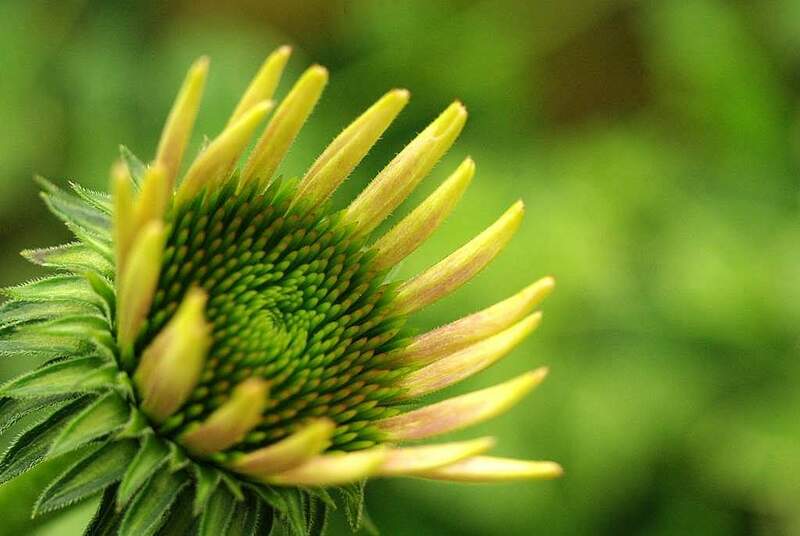 I suppose in a few more days it may just look like a normal purple coneflower, if it doesn't already. I don't know what's going on here yet -- it may be that the petals are not fully opened, and haven't yet reached their mature color. I'll be keeping an eye on this though, as it's really different. 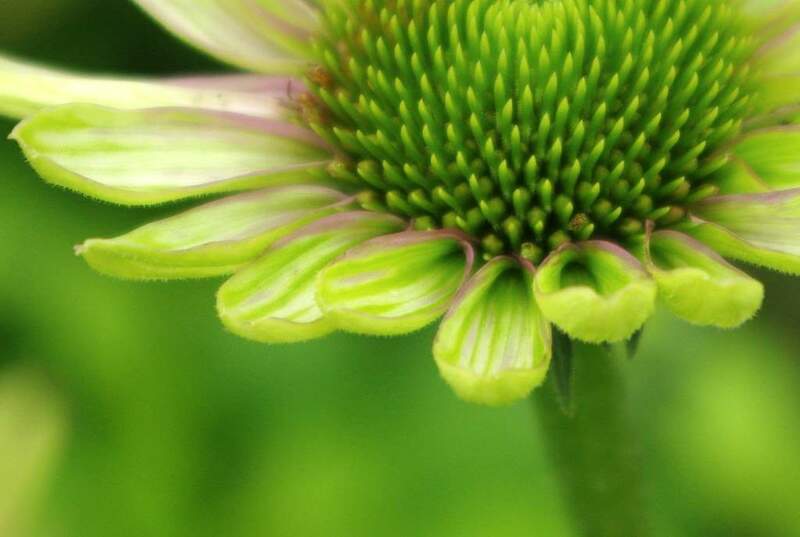 There are several other coneflower blooms about to "open", so you'll be seeing more of these beauties in the near future. If the Japanese beetles don't get them all that is. 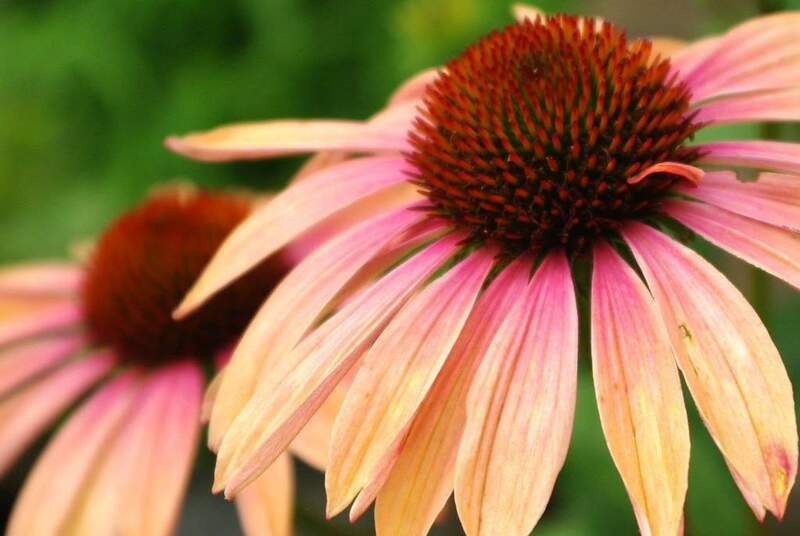 Meredith's blog often inspires me as well and you know how I feel about the coneflowers. They are so interesting to photograph as they have so much depth and variety to them...great shots Alan. Thanks for pointing me toward Great Stems. 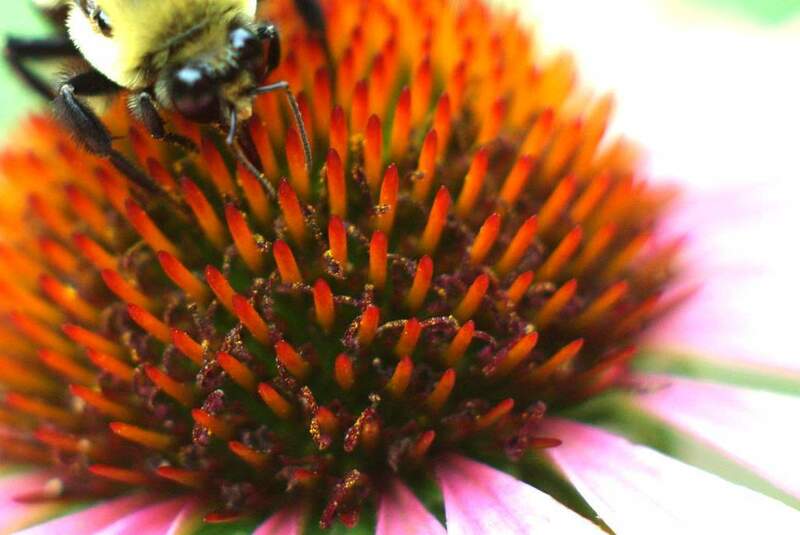 Coneflowers are the best! Love your photos. I am wondering, if you have cicadas, do you also have cicada killers? We were surprised to learn the identity of the large black and yellow striped wasp-like insect when we moved to Texas. Since then we have learnt about tarantula killers and other bug specific hunters. I know what you mean about being lethargic in the heat--it'll be 101°F here today. But I'm glad you ventured outside because these are beautiful photos. Our echinaceas are starting to bloom, too; I had forgotten how many different kinds we had. Our echinacras don't come out for another three weeks or so. I'm a bit of a fair weather gardener at the moment as its been raining on and off for days. And a chilly 12C. One pest leaves, another comes to take its place. 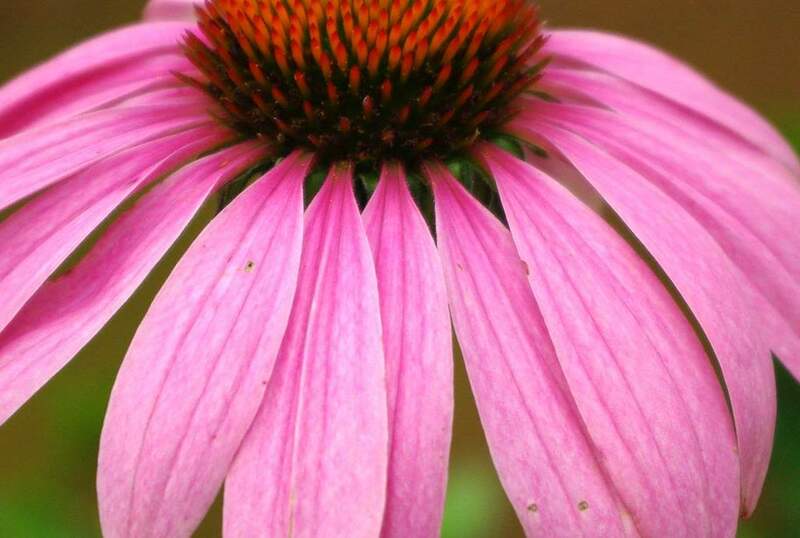 Your echinacea photos are beautiful! There is a successful IPM (integrated pest management) for japanese beetles / oriental beetles. Wasps that where moved to the US from Japan in the 1920s.